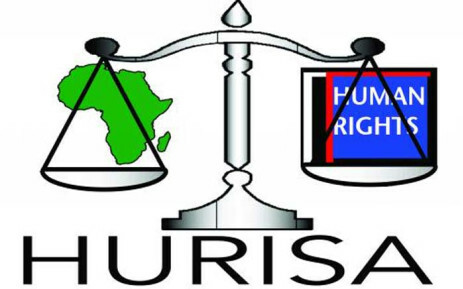 Human Rights Institute of South Africa (HURISA) is sad and mourns the untimely passing of its African Human Rights defender and founding Commissioner of the then Human Rights Committee and retired South African Constitutional Court Chief Justice. “I extend my sincere condolences to the Langa family on the sad passing on of a revered Chief Justice of South Africa, Pius Langa. It was my privilege and great pleasure to serve with Justice Langa on the Constitutional Court of South Africa. Justice Langa played a crucial role in the establishment of the Constitutional Court and in shaping its important jurisprudence. He was a warm and wonderful colleague. Our interaction preceded the advent of our democracy in 1994. When he was the chairperson of NADEL, Pius Langa rendered crucial advice and assistance to the Goldstone Commission. I join with my colleagues and with the people of South Africa in mourning his passing,” said retired Judge Richard Goldstone. His legal and human rights insight and oversight on the Human Rights violations of the people of Africa and the world will be cherished and remembered. HURISA will carry his torch and remind all South Africans to remember him by dedicating their lives as community human rights activists and defenders of basic human rights of all vulnerable communities where ever they occur. His concern on the political violence, conditions of political prisoners, transformation of the police, prisons and military disciplined forces during Apartheid days remains the challenge to our current political environment and we urge all Heads of the Government in Africa to remember his works, wisdom and advice for the betterment of the African Continent. We further call on the Social movements and the youths of South Africa to learn from his humble character of Ubuntu and tireless service to his Community and the African continent. His legacy for organising and engaging in various human rights seminars, workshops and conferences will be carried on and in his memory we will be dedicating Africa Human Rights Day (21st October) Commemoration and honour his Human rights work within the African Continent. The African Continent and the International Human Rights Community pays tribute to his sterling and oversight work he has demonstrated during his days of the Human rights struggle in South Africa, Cameron, Lesotho, Rwanda, Tanzania and Zimbabwe. In memory of his work we will recall that in 1998 he chaired a Commission to probe the Lesotho elections on behalf of the Southern African Development and Economic Community (SADC), participated in the constitutional review commissions in Zimbabwe, Rwanda and Tanzania, led a delegation of the International Bar Association to Cameroon, at the request of the Cameroon Government, to review and integrate that country’s system of criminal procedure and furthermore he was a member of the Judicial Integrity Group which was responsible for the compilation of the Bangalore Principles for Judicial Ethics. HURISA pays it’s deeply condolences to his family and all Human rights colleague’s and say may his soul rest in justice, human rights and peace.